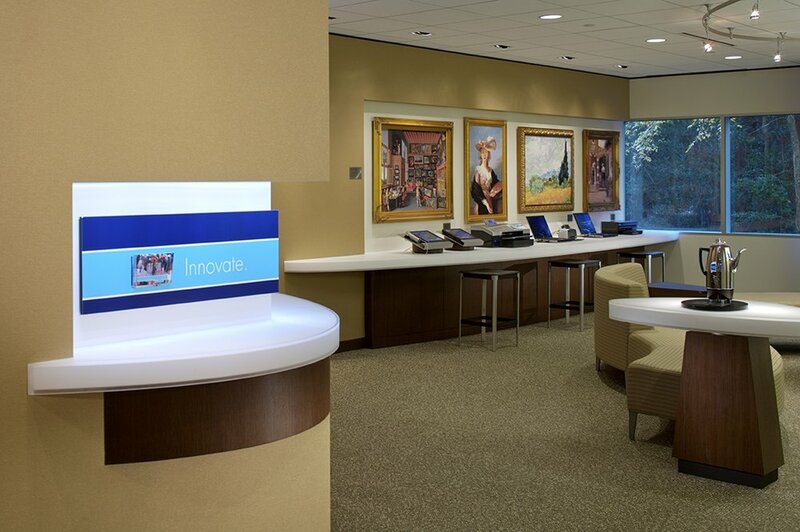 The technology company determined that they needed to revamp the center used by their sales team and fast. We started by researching HP’s rich history of innovation in computing technology, unearthing the most resonant stories, and then interviewed their product development groups to learn about the current targeted products. We created fun ways to engage customers with the technology, while exploring the company’s narrative. In short order, we rooted the experience in HP’s rich heritage and told its future-reaching story through interactive technology. We incorporated Hewlett Packard’s innovations using cutting edge 3D Printing, Video Microscopy, Interactive Projection and Touch Capacitance. So visitors experienced the brand’s identity through the impact of the company’s products and forward thinking.